“Almost the same, but not quite” – that’s one way to describe Sony Mobile’s Xperia Z and its predecessor, the ZL. 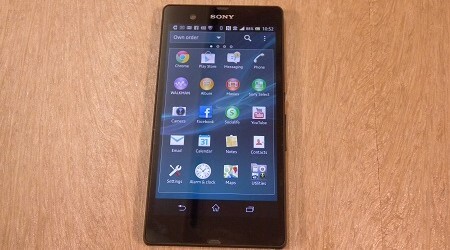 Sony released the ZL back in April, while its younger sibling, the Z, hit Canada at the end of July. While both are beautiful devices, they seem fairly similar, especially when taking just a visceral look at them. So for those who are in the market for a new phone, there are a few differences between them that are worth delving into. Here’s a quick comparison of two editions of the Sony Xperia, the Z and the ZL. (For a full review of the ZL, check out Jeff Jedras’ video review below, or his rundown of some of his favourite features here). Build-wise, the two phones are pretty similar. Both of them come in at about five inches, and they’re powered with a 1.5 gigahertz Snapdragon quad-core processor. Both phones have two gigabytes (GB) of RAM and 16 GB of internal memory. They also have slots for microSD cards, so that’s a plus. In addition, the two phones are still running the previous version of the Android operating system (OS), 4.1.1 of Android Jelly Bean, though they may upgrade to 4.2.2 soon. That being said, the display is beautiful – tempered glass on both sides, with 1080p in high-definition (HD) goodness. The camera quality is also pretty good too, at 13 megapixels, and the cameras shoot in full HD video as well. Photo taken in Toronto’s Danforth area with Sony Xperia Z. But there are subtle differences here and there – the ZL is about 9.8mm thick and weighs 151 grams, while the Z is at 7.9mm and weighs in at 146 grams. And of course, Sony’s big selling point for the Xperia Z is its resistance to liquids. While the Xperia Z is very similar to its predecessor, the phone’s big selling point is that it’s water-resistant, able to withstand a 30-minute dunking in up to a metre of water. So if you’re the type to drop your phone into the toilet, this may be a safeguard for you. But here’s a caveat – the Xperia Z comes with little flaps covering all of its ports, including the headphone jack and micro USB-connected charging port. If the ports are left open, water can seep right in and damage the phone. So if you want to use a port, you have to pry it open with your fingernails, and as soon as you finish using a port, you need to remember to shut the ports tightly. While the touchscreen wasn’t very responsive when I tried to tap some buttons underwater, it worked just fine when I doused a little water across the screen and then tried swiping around it. It’s also OK if you get fine particles, like dust or sand, onto the phone. You can just use water to gently wipe the dirt off. However, in less than a day, the tempered glass front of the Xperia Z was just covered in fingerprints, so if that’s something that bothers you, you may be constantly doing a screen clean. While both phones seem to be marketed mostly towards consumers, there are still some practical uses for the SMB crowd. As previously mentioned, both phones run Android Jelly Bean 4.1.1. Thankfully, Sony didn’t go overboard on customizing the OS, so it’s easy enough to add all the skins and apps your heart desires. The Xperia Z also features an preloaded McAfee Inc. anti-virus app, though it’s only good for a 30-day trial before you need to start paying for the mobile account. Still, IT administrators may find it a handy option, since it scans apps, web browsing, and can also be set to back up, restore, and wipe data. McAfee app on Sony Xperia Z. The phone also comes with Microsoft OfficeSuite Professional, though the latter only allows you to view OfficeSuite documents until you subscribe for a license for $14.99. Right now, the phone is available exclusively from Bell for about $149.95 on a two-year contract, or for $649.95 as a stand-alone device. Comparatively, the Sony Xperia ZL, the Z’s older sibling, rings in at $99.95 with a two-year plan with Bell. The phone costs $599.95 without a contract. Whether or not you choose to spend the extra $50 for the water-resistant feature is up to you. That being said, there are also waterproof cases on the market that might be just what you’re looking for. For example, phone case company OtterBox has a kind of case called the OtterBox Drybox 3000, which will fit a five-inch phone like the Xperia ZL as well as other electronics, like digital cameras. The cases, made of hard plastic, retail for about $30 at Best Buy Canada and can withstand submersions of up to 100 feet. But that being said, beyond McAfee, Office, and access to email and calendars, there’s nothing that really makes these phones particularly business-focused. Still, there’s no denying the phones have a great build and are a great flagship product, especially considering Sony isn’t traditionally considered a major player in the smartphone arena. So whether or not your SMB decides the Xperia Z or ZL is a worthy investment, the Sony Xperia Z and ZL are both phones that are good quality options and relatively simple to use – which is sometimes all business owners and employees are looking for.